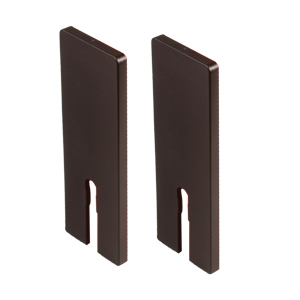 Our parallel-jaw bar clamps are for quick, accurate clamping of panels, cabinet drawers and frameworks. The end stop on the steel bar helps stabilize the clamp during use and detaches to reverse the screw jaw for spreading purposes. 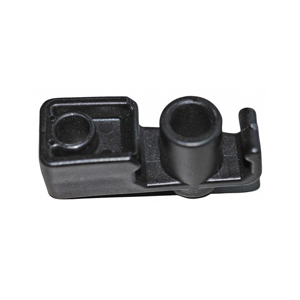 The comfortable screw handle is super durable compound material. 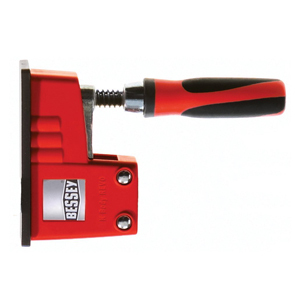 The BESSEY® K Body® Jr. is a new, mid-sized version of what made the full-sized REVO parallel clamp so great. With up to 900 lbs of clamping force, the REVO™ can handle almost any precision clamping task and much, much more. 90 degree jaws make cabinet work, frame ups, drawers, panel glue-ups and any other right angle glue-up a much easier and smoother operating task. Despite its 900 lb rating; this clamp is easily 30-40% lighter than all other parallel clamps claiming a rating of 900-1100 lbs. 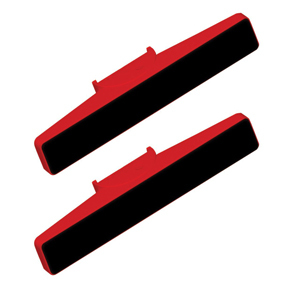 Lighter weight means less operator exertion, less user fatigue and greater productivity. German engineering, German steel, assembled in USA facilities. The K-body Revo Jr. Clamps are of High-end quality with a mid-size price. 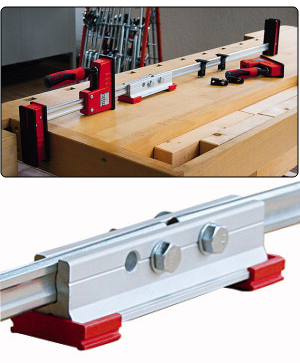 Nobody but Bessey has ever designed and built a clamp that works like a K Body Revo™ Clamp http://www.ptreeusa.com. NOBODY. 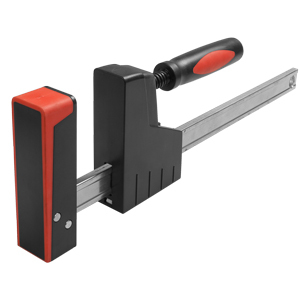 The Bessey K Body is the original parallel clamp, designed for woodworkers who depend on accurate clamping every time they use it. Look closely at the workings of a K Body http://www.ptreeusa.com.hardened steel, locking set screws, steel guide rollers and steel anchor pins. There are also precision internal elements that are not visible. Without any of them, the K- Body Revo™ would simply not stay parallel. NO other clamp on the market uses this system to ensure parallelism. large clamping surface. 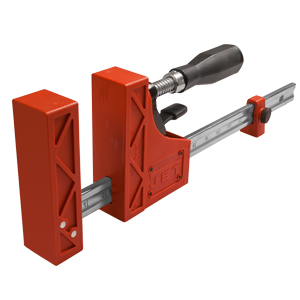 The K-Body® also has a glue resistant surface and enables a woodworker to achieve 1100lbs of nominal clamping force. You can also use the K-Body® as a powerful spreader! * Shipping Note: May require additional shipping charges do to being over sized for this item. 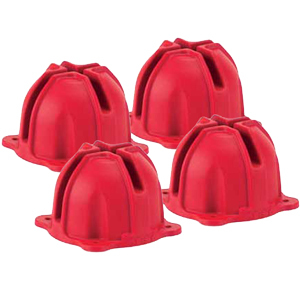 Buy your K-Body® Revo's™ in 4 packs and Save! We put together 4 packs of K-Body Revo's for your convenient's and to Save you money. KP Framing Blocks come with any of the Cabinet Maker package. Buy any one of these packages with the KP Blocks and SAVE! A new mini version of the popular K Body Clamp. The UniKlamp offers of 11 square inches of jaw surface: clamps flat, round or odd shapes; jaws encased in glue resistant, non-marring polyamide; profiled rail minimizes flexing and bending; Acme thread for smooth action and long life. Jaws reverse to use clamp as a spreader. Clamps exert 550 pounds of pressure. Available in 6"and 12" opening sizes. Ever have a project that requires an 80" long clamp? You don't have to invest all that money on a clamp that you will only use once. 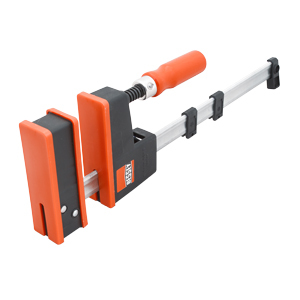 If you already own K-body® clamps then this is a must have item for your workshop. 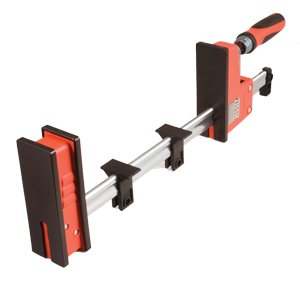 The Extender will allow you to take any two K-body® clamps and turn them into one long clamp. Example: two 40" clamps will make one 80"clamp! Durable construction with no loss of strength or clamp parallelism. The Extender does not interfere with the top edge of the bar,allowing your stock to stay nice and flat during glue up. The K-body® Extender is perfect for large, oversized glue ups. 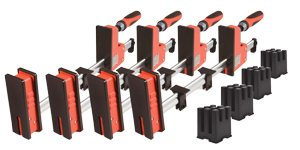 KP Framing blocks greatly simplify clamping set-up. 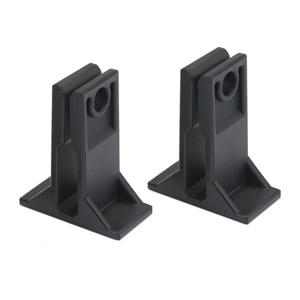 Designed to hold clamps upright and at approximately 90° to each other, they increase stability and reduce frustration. 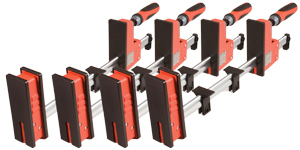 For use with any size of K-Body or Cabinet Master clamps (not included), they facilitate quick, easy and square clamping for assemblies such as raised panel doors, cabinet carcasses, and drawers. 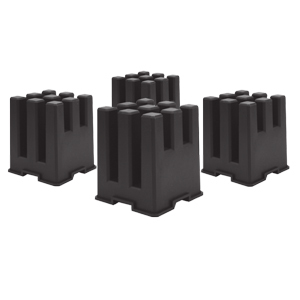 The glue-resistant blocks are glass-fiber and can be screw-mounted to a work surface to create a gluing fixture. Bessey Revo sliding arm with 2K handle. Complete sliding arm assembly designed to fit all K Body Revo KR and KRV series clamps. Resistant to glue, varnish, paint, & grease. 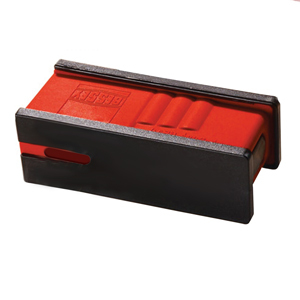 Rail protection pads snap onto rail and prevent clamped material from contacting steel rail. Replacement End Piece Stop for Bessey KR-EC K-Body REVO Fixed Jaw Parallel Clamps. Place in hole at the end of rail to stop handle. Used with Revo™ K-Body® clamps. Keep your F-style clamps handy and ready to use at a moments notice. This rack is specifically designed to be used for safe storage of up to 15 F-style bar clamps. Simply mount the rack to your wall so you will have sufficient clearance off your shop floor. Use 1/4" lag bolt fasteners where the backside is accessible. When placing clamps(s) on the rack, be sure the clamp is fully engaged in the chosen slot. Rack is made from solid steel and measures approximate. 24" in length. Mounting holes are pre-drilled on 16" centers. Mounting hardware not included. 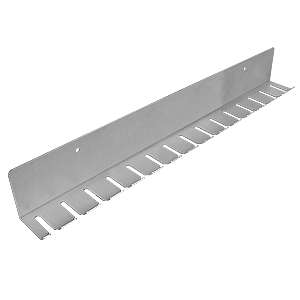 Each slot accepts a bar width of approximately 5/16".